We received the The Studio’s Tissue Paper Wreath kit in the mail this past week. The kids were very eager to open the package, as they are anytime we get something exciting in the mail! The package contained a project sheet and a bag of supplies. In this case, a wreath form, green tissue paper, glue, pom poms, and ribbon. The included directions were very easy to follow. We actually completed the wreath as a family. We all worked together, and even Dad helped! We left the wreath to dry overnight on the kids’ table and bright and early this morning, we hung it up! I think it makes our entryway look much more festive! I really liked how everything we needed to do the project, right down to the glue, came in the package. I didn’t have to run around looking for anything else to make it work. And we think it turned out pretty cute! 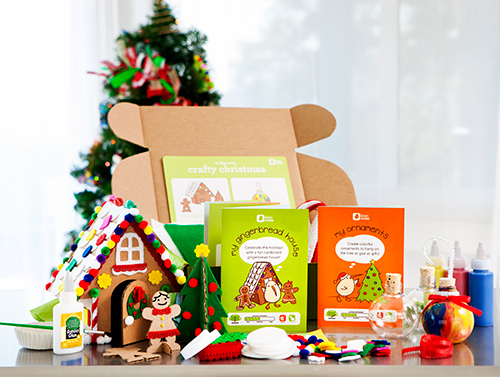 Kiwi Crate recently launched The Studio — a place where you can find great ideas for kid-friendly activities like holiday crafts and two-ingredient projects. They have just added a very special part to The Studio. If you see a project you like, you can hit the buy button and all the materials to do it will be delivered to your door! No need to drag the kids to 3 stores to gather all the supplies. 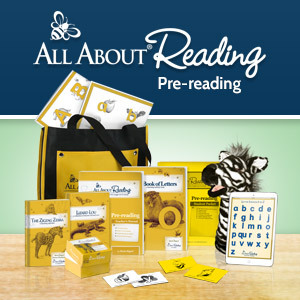 All the needed materials will come to you in a cute package with a step-by-step instruction card. At this time, only a few projects have the click & craft feature, but more will be coming soon! Learn more about Kiwi Crate by clicking the picture below, or see a sneak peek of their upcoming December crate in our review — Antarctic Adventures: Penguin Bowling. Disclosure: The craft kit reviewed in this post was given to me for free by Kiwi Crate and links in the post are affiliate links. I only accept and review products on my blog that interest me, my family, and that I think would truly interest and benefit you, my readers. All posts on this blog reflect my personal opinions and are not swayed by compensation and/or free products. What a really great idea and it turned out brilliantly. Thanks for sharing.